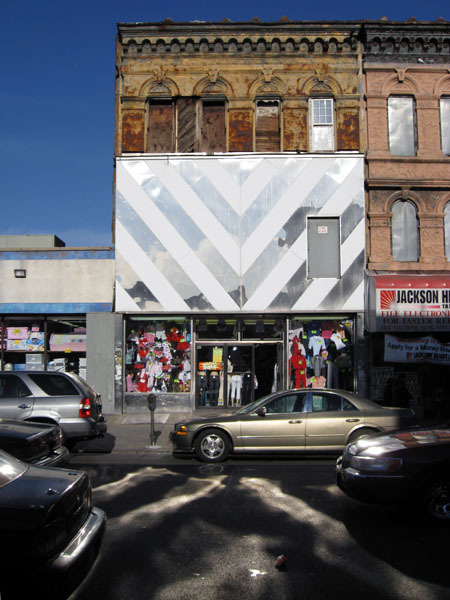 Every time I think I have seen it all (in the way of curious and repulsive architecture) something reminds me I haven’t. This is by far one of the ugliest things I have ever seen. 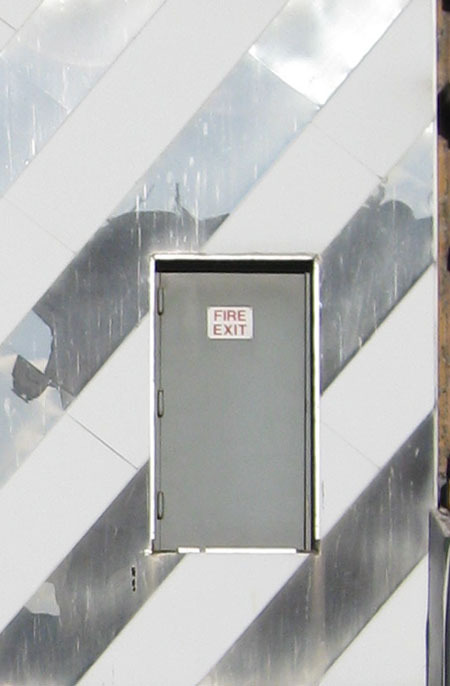 I like it when they pair chrome with a fire exit fifteen (plus) feet above street level. Break a leg or burn to death? There’s a decision I’d prefer not to make. Gah! Is someone afraid of a wrecking ball? Or SCUD missiles?